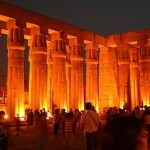 Are you preparing to your luxury holidays in the fascinating Luxor city? 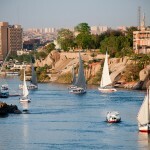 If so, we got a useful article for you, as we made a list with the top 3 luxury hotels in Luxor. As you might already heard about it, the city has its pick of fine hotels, so you do not have to worry just sit back and read our post about the top 3 luxury hotels mentioned below and enjoy the vacation in this ancient city and relax and get the most out of you all inclusive luxury hotel residence. Note that the city has an abundance of luxury hotels, so it is almost impossible to mention all of them and hope this to 3 hotel will satisfy all of your demands regarding to your luxury accommodation. Wonderful views to the banks of the Nile are waiting for you at the newly renovated hotel resort in Hilton Luxor Resort and Spa, which is a great choice and an ideal base on your luxury holiday. Stylish restaurants and bars and Spa bath are available in this fascinating hotel paradise. Some of the rooms have a balcony with great garden views. The major restaurants and bars are the Silk Road Restaurant with a variety of exotic eastern cuisine, Rosette restaurant, Oasis Pool Bar where you can enjoy your drink while you are relaxing in the azure waters of the innovative pools. 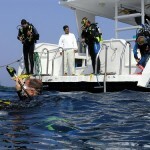 Because it is a fairly oriented hotel resort it offers numerous children activities as well. Situated on the East bank of the Nile, Sheraton Luxor Resort has an ideal location as it is framed by the Nile and the wonderful countryside. The Hotel is just 7 miles away from the airport so it is easily reachable and just 2 miles away from the city center. The luxury resort offers a variety of dining options from International cuisines. Various recreational facilities are waiting for the guests, such as tennis courts, croquet court and volley ball court. The hotel has 290 rooms, involving 4 junior suits, 1 presidential suite and 1 royal suite. 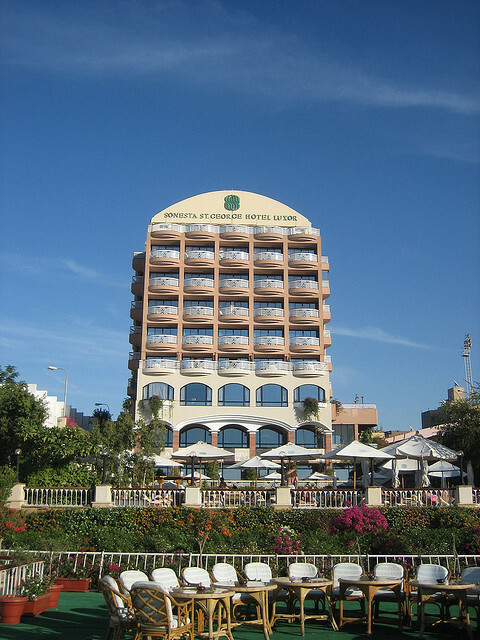 The Sonesta St George Hotel occupies a seven storey building on the East bank of the Nile and it is just a few minutes away from the major attractions of Luxor, such as the Temple and Luxor Museum, The Valley of the Kings. The hotel features modern architecture with façade and iron balconies. Guests are welcomed to relax beneath the palm trees at the swimming pools or pamper themselves in the various health clubs available in the hotel. The hotel is a perfect location for business or leisure purposes, where visitors will be amazed by the numerous amenities available such as the outdoor heated swimming pool, health and fitness center, steam room and Jacuzzi and many else.